My boyfriend asked me why I haven’t written up a review of Interstellar yet (which we saw in I-Max a few weekends ago) and to be honest, I didn’t know where to begin. There are a few things I am sure of, however, and that is one, Interstellar has imprinted itself forever in my memory, and two, nearly three-hours of I-Max will make you sick. 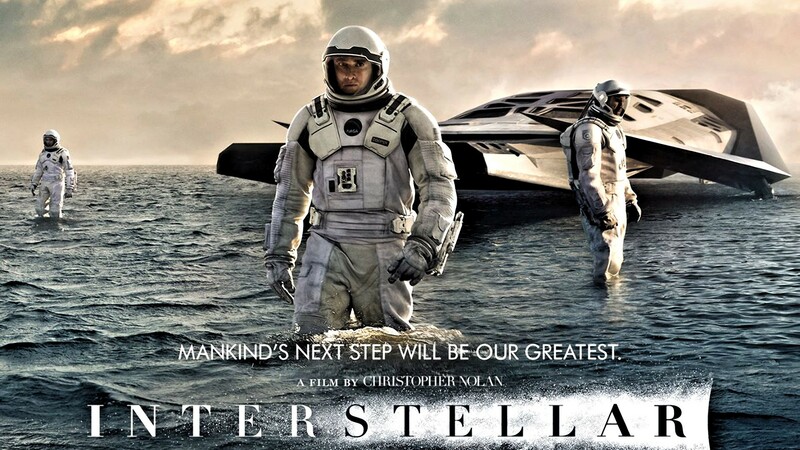 Yet despite the motion sickness, Interstellar is a movie that just begs to be talked about. There are a lot of themes and topics to digest: mortality, life and death, cowardice, good vs bad, theoretical science, time, love and fifth dimensions. And that doesn’t even include the incredible worlds you will see. ****Mild spoiler’s ahead. I discuss a summary of the plot, and highlights. No major plot points spoiled. Interstellar is about Cooper, (Matthew McConaughey) a retired pilot and engineer, and his family, who are farmers, or trying to be. Their world is dying, old ways are written out of history; the world needs food, not scientists. And while the farmers are planting and trying to grow food, blight and drought are killing the crops, and the dust storms that arise are killing the people. Prompted by a mysterious message, (which turn out to be coordinates,) Cooper and his daughter, Murphy’s Law, or “Murph,” (Mackenzie Foy,) stumble upon the secret remnants of NASA. NASA’s plan to save the people on earth is to look for other worlds to live on and Cooper is just the pilot they need. Cooper finds himself traveling across Interstellar space with Dr. Brand, (Anne Hathaway) to see if the scientists that traveled on before them have found livable worlds. It’s been more than a week since I’ve seen the movie, yet the visuals and certain scenes are etched forever in my mind. They encounter a black hole, a smoldering glorious bit of CGI that could be a character by itself; frozen landscapes and on one world: waves as tall as mountains. While the scientists face many obstacles in their near-impossible task to find a sustainable world, their real enemy is time: Albert Einstein’s theory of relativity. They maintain their ‘present time,’ but meanwhile, their loved ones on earth are growing older, having babies, getting married. It makes sense: it takes time to get places because they are so far away, and while they maintain their present age, their loved one’s lives pass on without them. 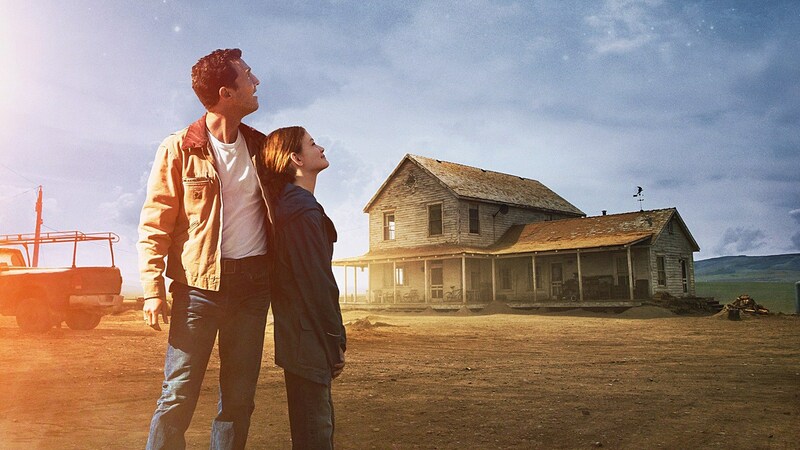 Source: Paramount: Cooper and his daughter, Murph, look to the sky as they stand in front of their farmhouse. I did find a dummy version of Einstein’s theory of relativity here, and even then it is several pages long. 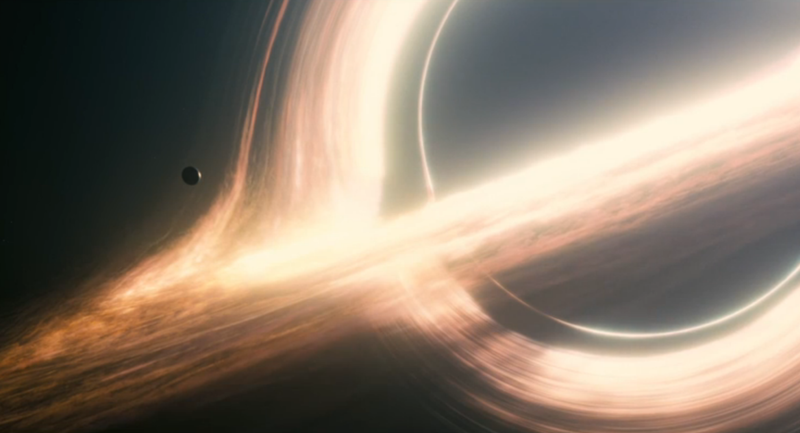 Much of the science in Interstellar is based on scientific theory. Take the black hole that Cooper and Dr. Brand encounter, for example: it’s the projection of a formula developed by Kip Thorne, an astrophysicist, whose math was used to create what is conceived to be the most accurate simulation of a black hole. More details on his involvement in the movie and the science behind Interstellar can be found here, at wired.com. He even has a book on the matter appropriately titled, The Science of Interstellar. The giant black hole they encounter is called Gargantua and certainly lives up to its name. Without this incorporation of theoretical science, the movie would not exist, as time and gravity is so important to the overall story line. With this in mind, Gargantua could be a character in the movie, and because of the incredible graphics, it certainly gives you the impression that it is alive in some way. Like Inception, there is so much to digest in this movie. All the mind-bending twists and turns, the confusion of time; its only major flaw is its length, (it is nearly three hours long,) and the pounding score when scenes get intense. The length of the movie did not bother me; I love a movie that makes you think, but there were some moments where the score in the film was too loud, especially near the end. It was not necessary (I thought) to express the urgency in the film with loud, pounding music, you could already feel that through the character’s emotions, the quick cuts to each scene and the dialogue. But I imagine this will be something that will get cleared up before it comes out on DVD. Inception’s score was much the same way. Despite that, however, there isn’t a movie out there right now that is in any way like it. You can definitely see the complexity and the richness of many years of scientific research played out on the screen. And the emotion behind every action, every character’s choice is heartfelt and true. This is one of Christopher Nolan’s best. And once you see Gargantua on the big screen, you’ll know exactly why. What did you you guys think of Interstellar? Are there certain scenes that stick out more than others? **Note, I didn’t want too many spoilers in the review in case someone were to stumble on this without seeing the movie. At any rate, if there’s something you want to talk about, leave a comment below!